With each passing day it feels more and more like England is moving into a new era, despite the last shift of power being just four years ago. In the space of 24 hours Casey Stoney announced her immediate retirement from football, followed by Phil Neville announcing his first Lionesses squad to the world for the upcoming SheBelieves Cup. 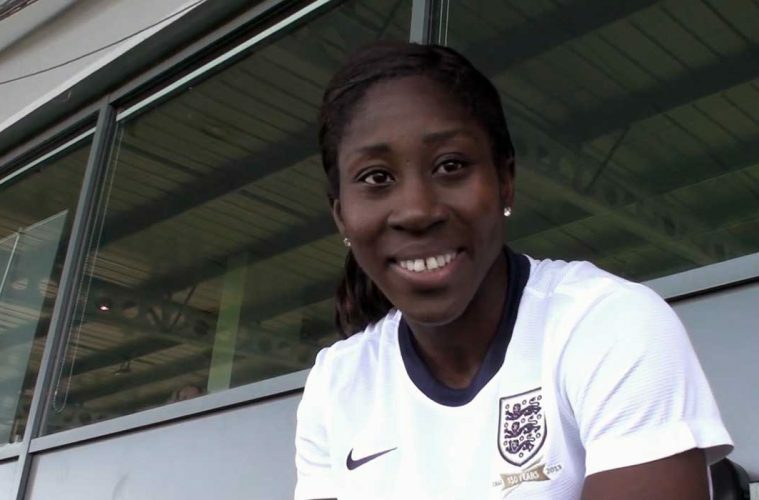 Stoney will join Neville on the trip and many more after that in her new role in the 41-year-old’s backroom staff, but with Stoney having stepped away along with Alex Scott and Laura Bassett no longer being selected, it does feel like a step into the unknown after losing three players who were regular squad members for more than a decade. The drawn-out demise of previous head coach Mark Sampson obviously means changes at the top, too. New players will be joined in the United States by a new head coach, an interim assistant in Mo Marley, and temporary goalkeeper coach Mark Mason. Neville’s first squad didn’t prompt too many surprises bar the inclusion of 32-year-old defender Anita Asante, who returns to the squad after three years of exile under Sampson, but it did raise many questions regarding the futures of certain players and the selection headaches Neville will have to endure with an ever-growing pool of players. There was no place in the squad first and foremost for Birmingham City’s Jess Carter, the current PFA Young Player of the Year bumped in favor of Chelsea’s Hannah Blundell. With Lucy Bronze holding down the first choice right back spot it will be interesting and exciting to see two very talented young players go head-to-head for the rights to be the second right back for future squad selections. It also raises questions about Rachel Daly and where the NWSL-based defender/forward fits into Neville’s thoughts. Allegedly Neville was impressed by Daly when he watched England take on Euro 2017 winners Netherlands in La Manga last month but there is no place for her in the squad for the SheBelieves Cup. Maybe it shouldn’t be such a surprise given Daly is one of a few players available for England currently in preseason; the 26-year-old hasn’t kicked a ball since the end of the last NWSL season. Fellow England players based abroad such as Toni Duggan, Bronze, and Jodie Taylor have all played competitive football recently and Daly may stand more of a chance when her season gets under way next month. Daly gave an interview in America earlier this week about her decision to pursue a defensive spot in the hope of attaining a spot at the 2019 World Cup, but one wonders whether it’s a smart move with competition in both fullback spots red-hot at the moment. Neville appears to have stuck to what he’s seen in the flesh so far with Daly and Carter joined out of the squad by the injured Gilly Flaherty, plus Danielle Carter, Drew Spence, et al. Neville is yet to see Birmingham’s Carter play live and he appears to have given preference to those he has, such as Everton’s Gabby George. Being based in the North West it’s no surprise Neville has already taken in games at the home ground of Liverpool and Everton on several occasions, plus a visit to the City Academy for Manchester City versus Liverpool last weekend. Neville is scheduled to be at Birmingham’s home game against Manchester City on Wednesday night but it’s a trip that will come too late for Carter, and indeed defensive partner Aoife Mannion, who once again is an oversight despite another impressive season from the center back. There’s also no call for the reliable Abbie McManus or Arsenal’s Beth Mead, the former Sunderland striker was on the bench when Neville watched Arsenal win 3-0 at Liverpool a fortnight ago and despite knocking in several goals in the games either side, the 22-year-old still waits for a recall to the squad. Neville did at least hint in his quotes at the squad release that he would likely use upcoming World Cup qualifiers to experiment with fringe players or youngsters, something his predecessor wasn’t famed for during his spell in charge. While Sampson’s philosophy of keeping the same squad together in order to have them best prepared for a major tournament bared some merit, Neville will have to find the balance between not being too experimental and having some idea of what his squad will look like come the 2019 World Cup. If England beats Wales in April they’ll move two points clear of their nearest group rivals with a game in hand and that should allow Neville an opportunity to test out possible new players in remaining away games against lower ranked opposition in the form of Russia, Bosnia-Herzegovina, and Kazakhstan. It’s also the reason why there are eyes on the SheBelieves Cup for more than just results. Whether England walks away with three wins or three defeats, it should not and will not define what will happen in the rest of Neville’s time in charge. With travel to Ohio for the first game taken into account, Neville will likely only have a couple of training sessions with his new players before their opener against Corinne Diacre’s France. It would be unreasonable and unrealistic to expect miracles straight away, particularly given England has struggled against the three nations in question even when under the guidance of Sampson or previous head coach Hope Powell. What may be more important over the next few weeks is what we see on the pitch itself rather than just the score in the corner of the screen. With Neville having never managed full-time before and never having worked in the women’s game, there will be as much interest in his team selections, his formations, tactical knowledge, and style of football as there will be on the final score come the end of ninety minutes. The nature of the beast and disgruntlement surrounding his appointment over more experienced coaches in the women’s game means there will be a certain amount of pressure from supporters should England sink to three defeats in the U.S., but Neville has at least to show there’s an idea and a plan moving toward next year’s World Cup.